Chris @ PyroElectro is one of those interesting guys who does a lot of cool projects. His projects include an amazing 8x8x8 cube and animatronic heads. When I got the chance to interview him I had to ask – would he rather be a resistor or a capacitor? He had to admit it was a though one, but managed to give me an answer after giving it some thought. My name is Chris and I build stuff over at PyroElectro.com, so I like to be called Chris @ PyroElectro.com. When I was younger, I did all the typical stuff you would expect of an electronics enthusiast: I played with computers all the time, built circuits in my garage, and all the standard things involved in growing up nerdy. In College, I got a degree in Computer Engineering, followed by a master’s in Electrical Engineering. Therefore, I prefer playing with hardware a lot more than with software and my background is slanted toward the digital domain. All of these experiences inspire me to share my passion with others. In the beginning, PyroElectro was a place for me to document projects that I worked on while I got started in electronics. I got tired of forgetting where I stored my firmware for past PIC and AVR projects and decided to upload them all with schematics to a central and dedicated place: the PyroElectro website. After some time, more and more people showed interest in my work and openness, so I decided to try doing weekly projects with a pyro styled article to document how the project was built start to finish. How do you find all those cool projects you are writing about? The projects that I post about everyday on the main PyroElectro homepage are tutorials and projects that we run across while researching for future projects, and we also post our own projects when they’re finished. There are so many resources on the internet that it can be overwhelming at times to know where to go and who to really trust. So, I really like the idea of providing links to open-source, open-hardware tutorials and projects both as my own personal ‘bookmarking’ effort, and for all of the PyroElectro fans. We’ve found that a single topic a day is interesting to our like-minded readers who follow along with our own projects. What is the coolest project you have made or seen? This is a rather difficult question to answer, but as I scroll through the list of previous articles on PyroElectro, the ones that stick out as the funnest were building a simple Animatronic Head. I really love these types of on-the-fly and on-the-cheap projects because there is a high coolness factor attached to them, but simultaneously anyone with some passion and time could make them if they wanted. Where do you find inspiration for your own projects? To find inspiration and ideas for the projects and articles on PyroElectro, I glance around the room and see what is there (granted my work room is probably far more scattered with electronic parts than most people’s). 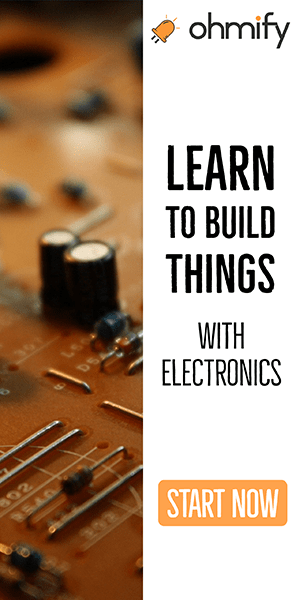 From that point, I typically pick a single part that I haven’t used before in any project, whether it is a sensor, a microcontroller or motor, and I get started building. From that process, sometimes cool projects emerge and other times the evil magic smoke is released from IC’s or transistors and so I start over and try again. The more magic smoke you inhale, the smarter you get at building projects and then it happens less frequently. 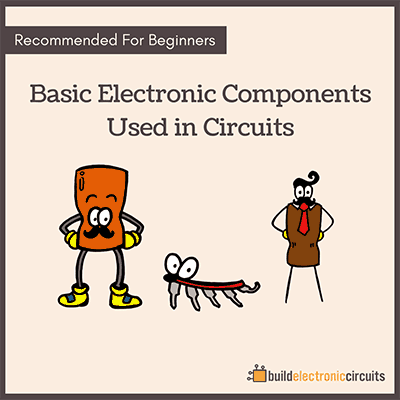 How would you recommend a beginner to get started in electronics? 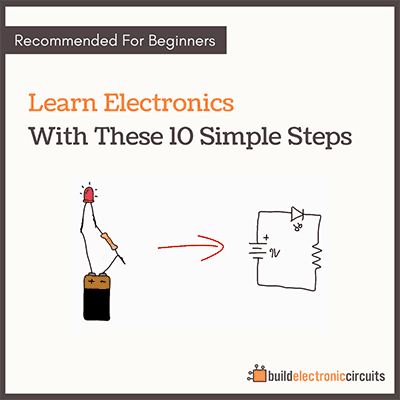 Getting started with electronics is tricky. There’s no way around that fact. Personally, when people ask me this question, I try my best to recommend a mixture of hands-on building and theory, but this can be difficult as resources on the internet rarely, if ever, cater to the beginner. 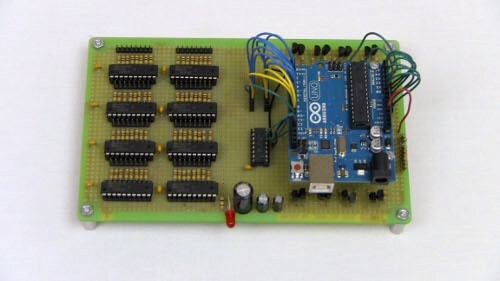 This lack of “simplistic and from the beginning” resource is part of the reason that we’ve started building PyroEDU, a place where people can follow instructive videos to capture basic concepts through theory while also putting that theory to work building simple circuits on breadboards. However, at the end of the day, nothing is as good as having a competent, live and in-person instructor teaching you how things work. If a beginner has an opportunity to take an introductory electronics course either at a college or local Hackerspace, that would be the best place to go. What would you rather be – a resistor or a capacitor? Another tough question. Being a teraohm resistor sounds tempting, but really, being a charged capacitor would be far better. A good ‘shocking’ charged capacitor prank never gets old.